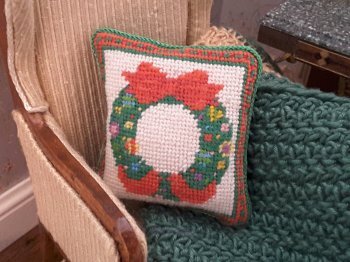 This beautiful holiday petit point pillow features nicely done Holiday Wreathe stitched on a off white background. The wreathe features a red ribbon bow. 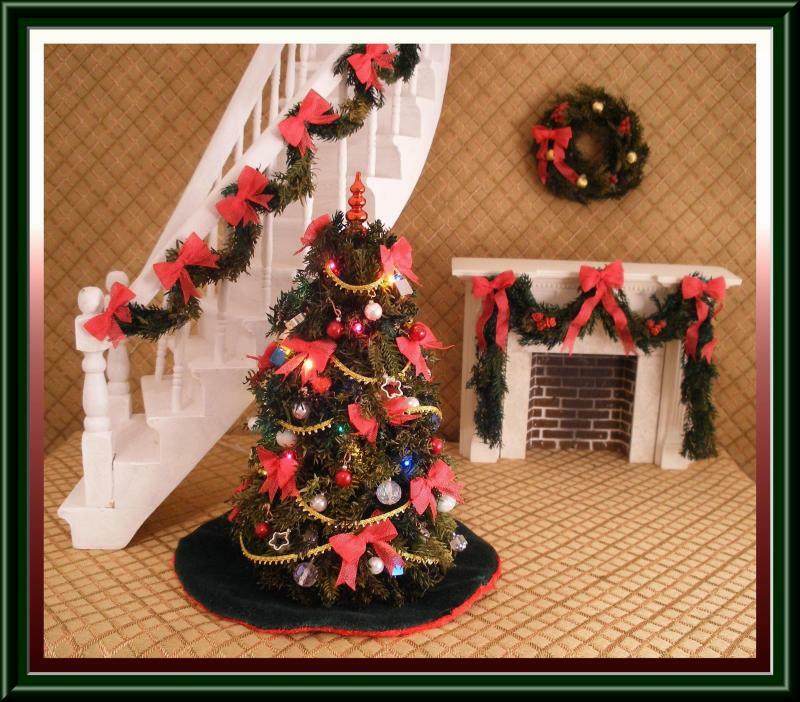 It is one twelfth scale and measures 1 1/4" by 1 1/4".